I’m thrilled to be participating with Boston Yacht Sales in their Open House at MacDougalls in Falmouth, MA. 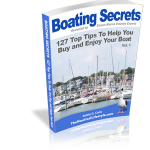 Boating Secrets: 127 Top Tips to Help You Buy and/or Enjoy Your Boat. 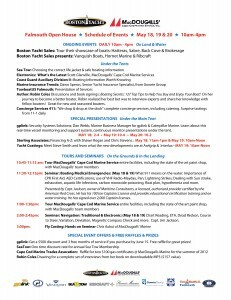 Here’s the schedule of events for special exhibits, boating information and more. Be sure to stop by and say “hi”.